Many of you may have asked - What are the things to do in Bangkok? 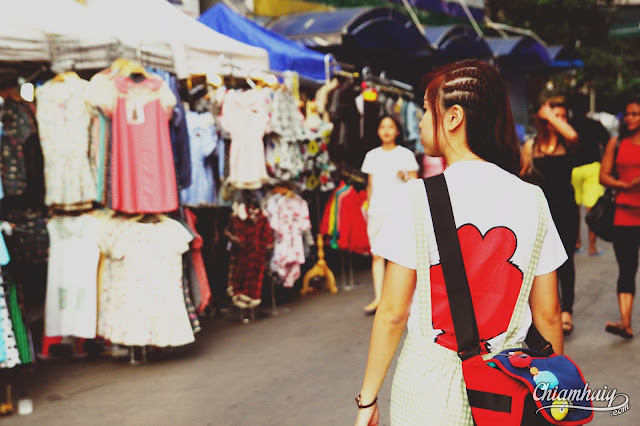 Here is Celine's guide to getting around Bangkok, the best places to find good food and also, the most affordable places to shop! Many people always ask - What are the things to do in Bangkok? Here's an extensive and comprehensive guide to travelling in Bangkok to aid you in planning your trip to Bangkok. I'm no professional tour guide whatsoever, but these are pieces of information that I find useful, considering that I've been to Thailand three times. Should you have any questions, you can leave a comment below and I will be glad to answer your doubts :) So here goes! First things first, get a travel map from the airport because it’s the most detailed one. I used the map throughout my trip and it more or less provided me enough information for me to find the places I wanted to go. 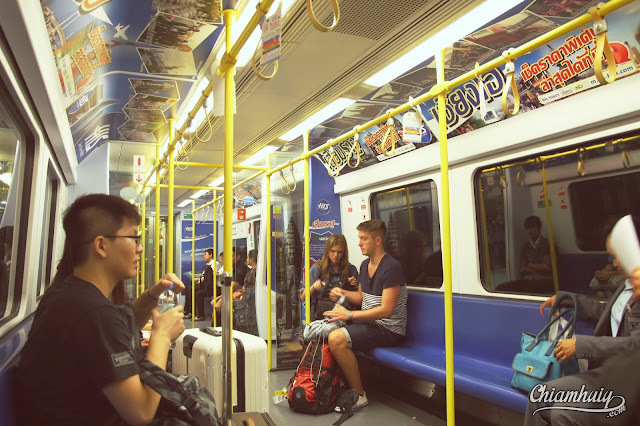 Equipped not only with landmarks, it also comes with the train (Bangkok BTS) railway route for tourists who travel mainly by train instead of cab. So the burning question is, should I take a cab or the train to my hotel? This applies to all common hotel areas like Pratunam, or somewhere near the weekend market Chatuchak (Jatujak). Having experienced both travelling ways (cab and train) on my two trips to Bangkok, I personally feel that taking the Suvarnabhumi Airport's Rail Link is much faster and cheaper. It costs only 40 baht per person to travel from Suvarnabhumi to Ratchaprarop BTS station, and takes only about 30 to 45 mins. On the other hand, taking a cab may take about the same time and it would most definitely cost much more (200-300 baht). Of course, a bigger group can choose to take a cab because they can share the cost, but it still can’t beat the cheap train tickets. PS: Ratchaprarop BTS station is at the Pratunam area, where popular malls like Platinum Fashion Mall and Pratunam Morning Wholesale Market are. 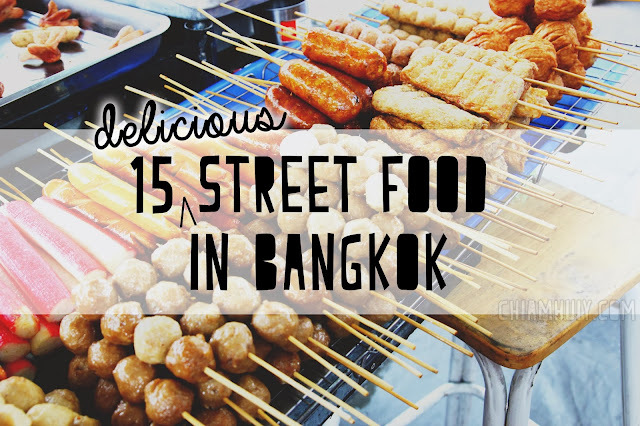 I’m not sure about you, but one of the things to do in Bangkok is to enjoy their street food. They can satisfy my three meals so there’s no need for me to visit restaurants. Read my post on 15 delicious street food in Bangkok and you’ll know why I am so spoilt for choices when it comes to food in Bangkok. For seafood, you should visit T & K Seafood Restaurant at Bangkok China Town area. I was there the first time but I didn’t think I would want a seafood feast for the second time. 4. Travelling – Cab, train or tuktuk? Cab: For long distance travel. Try your very best to get one that uses the travelling meter. 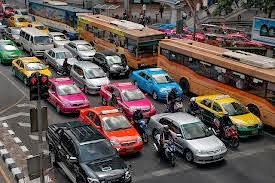 This was what happened to me: I had to travel from Pratunam area to Pata Pinklao because my uni friends were staying at this residential area away from Bangkok city area for their University Exchange stay. We had to cross a long bridge in order to reach our destination, and the ride was 45 mins. Many taxi drivers quoted us 300 baht but when we returned from Pata Pinklao, a taxi which runs by meter only costs 100 baht. That is the difference. Cabs are also more advisable for people travelling in groups, preferably in fours as they can share the costs. Train: It depends on where you are going. Factor in the travelling time, the distance and the train fare to decide between cab or train. If it’s only a few train stops, you'd probably want to travel by train. As it was only my boyfriend and me on the second trip, taking a cab wouldn’t be wise because there’s only two persons sharing the cab fare (we just take turns to pay, don’t have to be so calculative). But if travelling by train means more than 7-8 stops and you have to even change BTS line to reach your destination, the time and effort might not be worth it. So it’s up to your own discretion. Come on, I know when you think of Bangkok malls, you think of bargaining because they are notoriously known to set prices very high for tourists in order to buffer for some price haggling. But not for street stalls please. The food only costs 20-50 baht, the most going up to 100 baht and I find them absolutely reasonable and cheap, so please do not bother haggling the price and let the poor people earn the money. For apparels, that is necessary. My experiences proved that the stall owners will always set high prices to buffer for price bargaining. At your own discretion, decide if you would want to walk off while haggling the price so that the owner would give in to you. Sometimes, your demand might be too much and the owner wouldn't even care less to entertain you. Try to buy more pieces from a stall to enjoy bulk discount too. The first tier belongs to the rich people, where you see branded products that can be found internationally. To state a few examples, they are Charles and Keith, Espirit, H&M and prestige brands like Rolex and Kate Spade. Malls that carry such brands are Terminal 21 and Siam Paragon. The second tier includes malls like MBK, where prices are a little high but you can still find some cheap items here. And the last tier is of course malls for unstoppable shopping, especially for the ladies. And it goes without me saying, Platinum Fashion Malls are the best places to shop. But I think tourists who want to do cheap shopping commonly miss this out – Pratunam Morning Market/ Pratunam Wholesale Market, which I found out that they open as early as 7am, and closes at 10am or so!! That is so crazy because when I went out for breakfast, I couldn’t find the stalls anymore when I was back at 11am. So for the subsequent days, I diligently woke up at 6.30am or so, left for shopping at 7am and probably spent the most at the Pratunam Market. While shopping in Bangkok, try to be environmentally friendly too. Avoid getting plastic bags for all your purchases because at the end of the day, you’re just going to throw the plastic bags away in your hotel room. You are never going to use so many plastic bags, trust me. Just get one plastic bag from your first purchase, and stuff the rest into the same plastic bag until it’s full. Alternatively, get a huge plastic bag from a shop that you bought more than one apparel, and you can stuff the rest of your purchase in. This not only helps the earth, but also helps yourself because you do not have to carry too many things at once. The common massages found are Thai Body Massage, Foot Massage and Head & Shoulder Massage. They all cost about 250-300 baht. The slightly pricier massages are Oil Massage and Aroma Massage, which costs 350-400 baht. I’ve tried body, foot and aroma massage on different nights. Personally, I think Thai full body massage is the best. Hotel location is rather important because ideally your hotel should be near the common shopping areas (read point 6). Both my hotel stays were in Pratunam area and they were all near Platinum Fashion Mall and Pratunam Market. The hotels that I’ve stayed at are Budacco Hotel and Citin Pratunam Market. These hotels are near the famous Baiyoke Sky Hotel, so whenever I want to take a cab back to my hotel, I just tell the cab driver “Baiyoke Sky” and they know where to go already. Honestly, they would not know the locations of small little hotels because there are just too many. 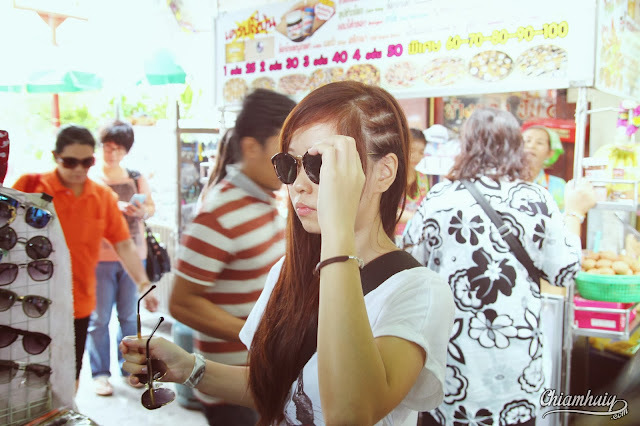 If it's your first time visiting Thailand, perhaps one of the things to do in Bangkok is to visit their tourist areas. Related to point 9, Buddaco hotel provides complimentary one day trip which they have liaised with a tour agency on. 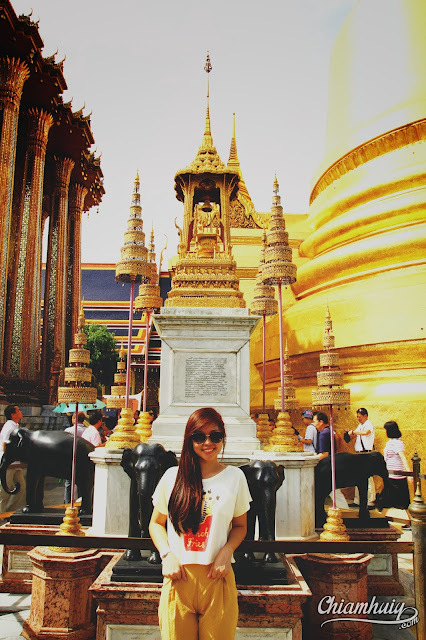 My options are Floating market, The Grand Palace and Buddha Temple. The complimentary trip includes transport but excludes admission ticket (if applicable). My boyfriend and I decided to go on the tour to the Grand Palace, and in fact we opted for an additional tour the next morning at 300 baht per person to the floating market, and I never regretted paying that money! I love the food at floating market, and I enjoy the experience of sitting beside the lake eating a piping hot bowl of noodles. I enjoy watching the locals cooking on a long tail boat and absolutely not affected by the slight waves. Alright! This sure is a comprehensive guide on travelling in Bangkok, Thailand! I hope you have gained much information about Bangkok and of course all of my personal experiences that I’ve gained after being there twice. I am sure I will be back to this Land of Thousand Smiles again.